There’s been a lot of talk about India’s maiden Test series victory in Australia riding on the back Cheteshwar Pujara’s stellar performance with the willow and Jasprit Bumrah creating mayhem with the ball, but there’s more to the win than that. While this group of players certainly played a vital role in ensuring India dominated much of this high-octane Test series, the real reasons the visitors applied themselves so well were due to the more subtle aspects of each game that may not have been as obvious to most of our readers. This is what India actually did to win their first ever Test series in Australia. Australia boasted a stellar fast-bowling cartel, with Mitch Starc, Pat Cummins and Josh Hazlewood providing unique options to make life uncomfortable for India. However, it was Nathan Lyon’s off spin that would be the main game changer in Perth and even Adelaide, where India only just won by the skin of their teeth. Lyon proved to be dangerous on the wearing Perth surface, and despite India stereotypically being known to be good players of spin, Lyon’s five-for in India’s first innings proved to be the catalyst that put the visitors behind in that game. 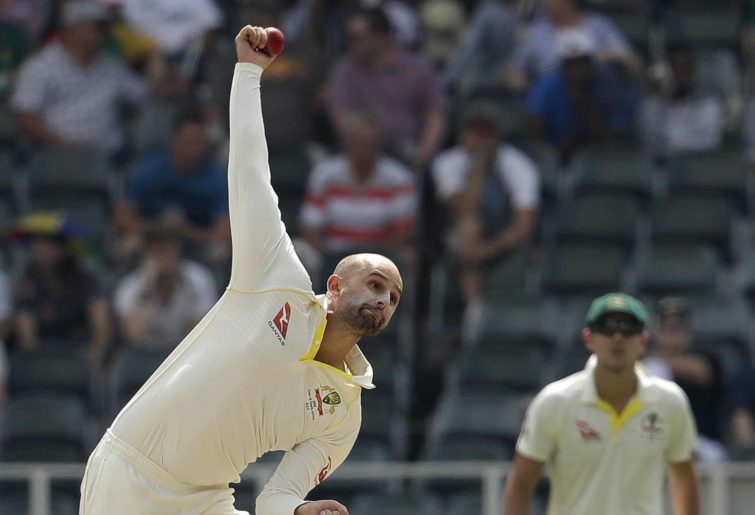 The 2017 year was by far Nathan Lyon’s most successful as Australia’s premier spinner – he amassed 63 wickets at a phenomenal average of just 23.55, numbers that would quite literally put him in the same club with the likes of Muttiah Muralitharan and Shane Warne. With Lyon now maturing and understanding his game better as a finger spinner, it became obvious to this Indian team that conquering Lyon would go a long way on their march towards a maiden Test series victory on Australian soil. And how right they were. After bagging 16 wickets in the first two Tests, Lyon was made obsolete in Melbourne and Sydney. In the Boxing Day Test Lyon could claim only one scalp for the entirety of the match as India romped to near invincibility once they decoded his spin. The Sydney Test saw Lyon bag a four-for, but by then India had forged an impenetrable score and the likes of Rishabh Pant and Ravindra Jadeja were hitting sixes off him for fun. Pujara played Lyon the best, though – the Indian No.3 shelved the sweep shot and often played with the turn from Lyon’s off breaks, meaning any chance of him being pinned LBW or caught at bat-pad would be cancelled out. When Lyon tried a wider off stump line to draw Pujara out of his crease the great batsman simply padded those balls away or tightened his forward defence, as he knew he couldn’t get out LBW. Subduing Nathan Lyon certainly paid dividends for India’s triumph, and the results show this very clearly. The aftermath of the second Test at Perth Stadium would prove to be the wake-up call India needed to realise what was at stake in this series. With many fellow Roar writers buoyed by Australia’s victory, with one even suggesting the state of the Indian team was ‘precarious’ – the optimistic fervour surrounding this win caused most to believe the home side was back on track to arrest the momentum their way. Australia had the edge now, or so they hoped, and all would be well to prevent the visitors from achieving what had previously been viewed for them as impossible. What Aussie fans failed to realise was that they were dealing with the No.1 Test team in the world. Whereas previous Indian sides of yesteryear would have succumbed to such a loss and thrown in the towel for the rest of the series, Virat Kohli refused to surrender. Instead he went back to his team’s selection think tank and made calculated changes to his side’s make-up to produce the best 11 to atone for the aberration in Perth. Instead of lamenting their mistakes, India decided to learn from them. India paid a huge price for not having a specialist spinner for the second Test, and they immediately rectified this by including Ravindra Jadeja back into the side for the third Test. The underperforming Murali Vijay and KL Rahul were dropped, and in came the highly rated Mayank Agarwal and Hanuma Vihari, both of whom boast batting averages over 50 in Indian first-class cricket and even have triple hundreds to their name as well. Having such a solid, experienced opening pair ready to go for the Boxing Day Test ensured that India’s habit of losing quick, early wickets when scoring would have a greater chance of being prevented. Umesh Yadav was also a liability in the Perth Test. Despite his quick action, high pace and ability to generate steep bounce off fast tracks, he was erratic, wayward and expensive, conceding almost over four runs per over during his spells. Dropping him to make way for Jadeja was a smart move, as the visitors’ core group of quicks in Ishant Sharma, Mohammad Shami and Jasprit Bumrah would be more than enough to place a stranglehold on the Aussies throughout the series. It were these tactical selection moves that helped India towards securing that elusive maiden Test series win Down Under. Asian cricketing nations of the past have often viewed winning a Test series in Australia as something akin to catching a unicorn. “Can’t happen”, they say. “We’re just going to try and draw this series, it’ll feel like a win”, say others. Since their inauguration to Test match status 1981, Sri Lanka have also never triumphed in a Test series in Australia. In fact the last time they came here they were demolished 3-0, and that Boxing Day Test they played in ended in complete farce, finishing in just two and a half days. Pakistan, even with star-studded rosters boasting champions like Imran Khan, Wasim Akram, Javed Miandad, and Inzamam ul-Haq, were still unable to topple the Aussies at home in over ten attempts. It’s no wonder then that Subcontinent cricket teams have often viewed defeating Australia on their own turf as mission impossible no matter how weak and brittle the home team may be. Virat Kohli thought otherwise. In a press conference during this series he told the media that to win in Australia you need to be obsessed about it. 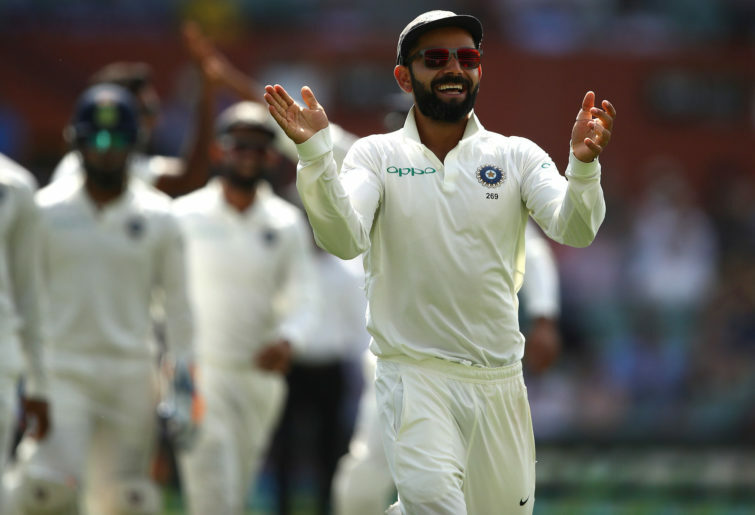 He also said that preparation for India’s maiden Test series triumph in Australia began over 12 months before the series started, again showing that Kohli knew the magnitude and importance of achieving this goal. Despite the boos, jeering and racist taunts from Australian crowds, and despite even the comical sledging from the home team, Kohli and his Indian side remained fixated and steely eyed on the goal at hand. This time India had come to win and show the Australians that they were not going to back down at any point to get it. The mental battle had now been overcome. When Australia won the Perth Test I really hoped that this would be the opportunity for Tim Paine to stamp his authority as the captain and make his presence felt in this team. I was expecting him to motivate and push his side to secure a victory in Melbourne and deliver Australian fans something significant to cheer about given how disastrous 2018 has been for them. Winning in Perth should have provided Australia the psychological advantage and the confidence to know that they can topple the No.1 Test nation with the team they have. Instead they squandered it. Tim Paine made so many tactical errors with his bowlers in the Boxing Day Test it was no wonder they would be knackered and out of ideas once Pujara got going. Yes, India’s No.3 had an incredible series with the bat, but he is not immortal. Had Australia paid more attention to developing a strategic plan to dismiss Pujara instead of getting sucked into all the hype surrounding Kohli, the result of this series could have been much different. Kohli was relatively subdued in this series because Australia had clearly done a lot of homework on how best to prevent him from having an impact. Now just imagine if they had done the same with Pujara. Lastly, Tim Paine is a loveable character and an all-round good bloke, but I am not sure he is the type of Test captain Australia needs right now. He just doesn’t have that aggressive and killer instinct to hunt for victory like Australia’s more successful captains of the past. The sledging and banter between him and the visitors was hilarious, witty and downright funny at times, but the words exchanged indicated to me that mentally Tim Paine had already conceded defeat to India. The fact that he sarcastically asked Rishabh Pant if he would babysit his kids says to me that he had subconsciously declared in his mind that all hope was lost for Australia and he was just going through the motions. This is not the type of attitude you want from your captain, especially when your backs are against the wall in a high-profile Test series against the No.1 Test team. At the series conclusion Ian Chappell rightly remarked that Tim Paine needed to shut it with the sledging and focus on playing good, hard aggressive cricket. His nice-guy approach was not doing this struggling Australian team any favours. India sensed this and went for the kill.